Have you ever wondered what exactly makes an active adult home different from others? Maybe you'd fancy a tour of one or more homes specifically designed to cater to the needs of the aging population. 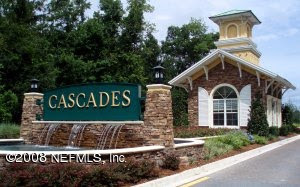 Well, now is your chance because the February Sneak Peek at World Golf Village, which is coming up this Saturday, February 6th from 1 p.m. to 4 p.m., is showcasing homes at the Cascades - an active adult community in World Golf Village. Anyone looking to retire to a golf front home in Northeast Florida will not want to miss this Open House. These houses were built specifically to provide you with everything you may need as you age. Plus, being located in the highly sought-after master planned development World Golf Village, you will have a variety of activities to fill your days including golf, swimming, shopping, an IMAX theater, tennis and more! Plus, in honor of the big game - the Super Bowl - we will be offering some fantastic football-related register-to-win gifts. See you Saturday for an Active Adult sneak peek!